They say a pub is the heart of the village and that’s exactly what Tailored stays found with the Plough. 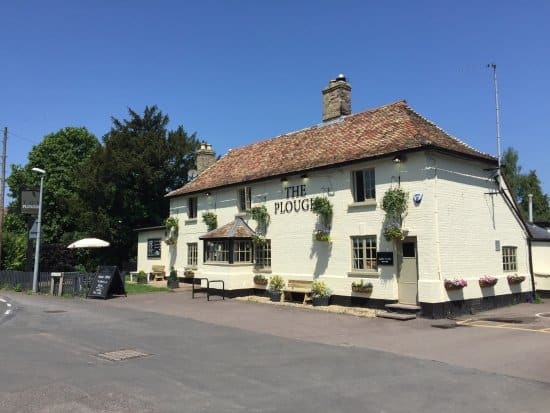 Set in the beautiful village of Coton just 1 mile outside of Cambridge, the Plough is a wonderfully traditional country pub. As soon as you enter you will be warmly greeted by Pasquale, Allen or another member of the friendly and well-presented team. 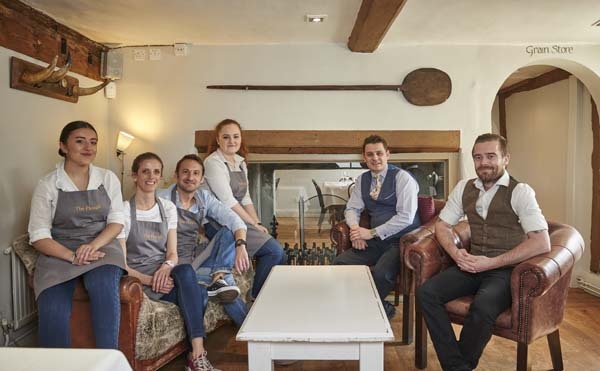 Whether you are popping in for a quick drink or a three-course meal the team at The Plough are extremely accommodating. The bar offers an array of alcoholic and non- alcoholic drinks including all the current popular gin flavours and of course bar snacks! 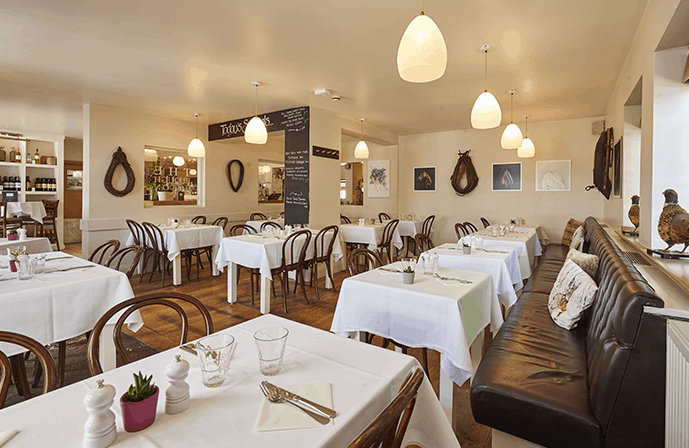 If you’re looking for a sit-down meal in the restaurant area The Plough can cater for all dietary requirements. Served Monday-Saturday from 12pm-6pm is the Lunch and Light bites menu where you can find platters, filled sourdough rolls, pizzas and salads. From 12-9.30pm you can also choose from the A La Carte Menu which is filled with exquisite starters, main courses and sides. If you’re looking to complete your dining experience then pick from the divine choices on the dessert’s menu, sweet or savoury and maybe even top it off with an after-dinner evening drink! There is even a specific menu for Sundays to get your roast fix in! We highly recommend this if you are looking for a flavourful Sunday Dinner, your taste buds will thank you and there’s no washing up; relax and rewind next to one of the open fires with a glass of their finest wines. For the summer afternoons and late evenings enjoy a drink in the garden with the extensive outdoor seating whilst the children are entertained with the fabulous outdoor play park. The traditional clean décor, exquisite food, large array of beverages and superb staff make this a must visit if you are staying in Cambridge! One of Tailored Stays Favourites!